Experience what it is like to be fabulously pampered for one day. Stuart has brought together a creative team of photographers, retouchers, makeup artists and designers with different specialist areas of experience. As an independent studio we have the freedom to be imaginative and offer a very personal, friendly service. We feel privileged to meet interesting people every day and collaborate with them to create something special that will stay with them for life. This exciting day starts with a relaxed reception where you can choose from our complimentary drinks selection and chat with us about the exciting day ahead. You will have a luxurious,professional makeup & hairstyling session with our amazing industry experts. 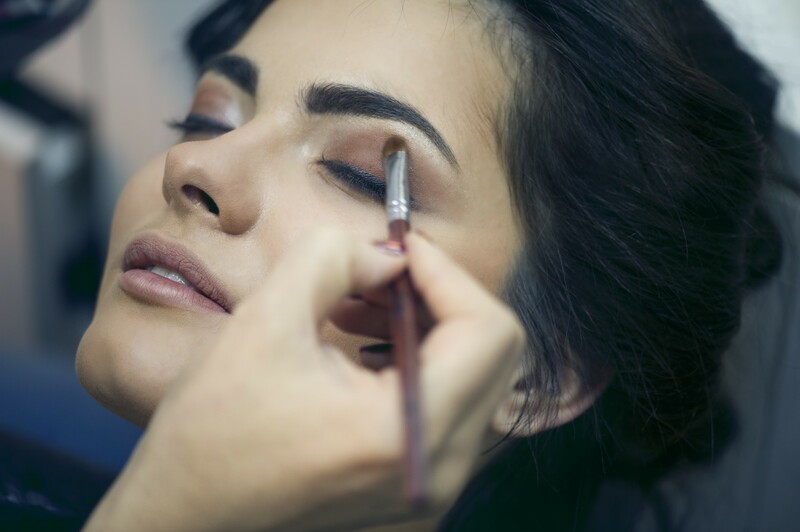 Our Hair & Makeup area has everything the professional artist needs, with superb lighting so the tiniest detail of your make-over can be executed flawlessly. Step onto the photographic set to enjoy a fashion photo shoot you'll never forget. Our sets are unique to us and refreshed regularly to keep them ahead of the trends in fashion photography. With clothing and background changes the professional photographer will create your perfect look. Finally we will take you to the private viewing area where you can look at all images and retouch your favorites. Pick one complementary image for you to take home. The professionals will cleanse, tone and moisturise your skin before the make up is applied. Let the make up artists work wonders to create the look you have always been waiting for. From a very chic look to romantic and tousled - we will create something special and unique for your day. With 3-5 wardrobe changes this is the ultimate photo shoot with our top fashion photographers. Bring your favourite clothes, anything goes from jeans and t-shirts to evening wear. Relax and digitally view all of your photos from the day. Digital retouching is available. Presented to you on a CD-ROM or 8x10 print.